Blending aesthetics and performance, BMR has designed the SP012 for the street performance crowd who want to use their cars in a variety of application. These springs will drop the front end of your S197 Mustang 1.5-inches, and feature a fine-tuned spring rate to give you great handling and a smooth ride. The linear spring rate offers plenty of support, keeping the body flat and level in the corners, while remaining soft enough for a comfortable ride on any road. 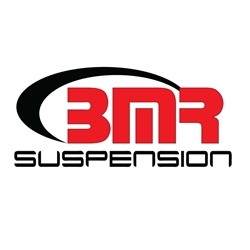 When performance and looks are a must, rely on BMR Suspension! BMR Suspension’s SP012 lowering springs are available in red powdercoat for long-lasting good looks. Installation time is about 2-3 hours. Proudly made in the U.S.A.